Ann Marie Mires, a forensic anthropologist who lost her job at the state Office of the Chief Medical Examiner and received $30,000, says she is thrilled that state settlements with workers are now being made public. It was major news in 2008. Prosecutors accused 10 Massachusetts Turnpike workers of skimming thousands of dollars in tolls from passing motorists, calling it “the very definition of a violation of the public trust.” Most of them were convicted. But the cases against two of the workers, Paul Iacobacci and Tony Pasuy, quietly fell apart. The state withdrew the charges, gave them back their jobs, and paid them six months in back wages as part of a confidential settlement. There was just one thing the Turnpike workers, like some other state employees uncovered in a Globe investigation, did not get back in the deal: Their reputations. The state never announced that Iacobacci and Pasuy had been cleared or returned to their posts. It blacked out their names on copies of settlement documents provided to the Globe, citing the workers’ right to privacy. And the two men were afraid to alert the news media themselves, since they still worked for the Turnpike and feared retaliation, one of them said. For years, the state has used confidential settlement and severance deals to make embarrassing problems go away, often requiring workers to promise to keep the payments secret and avoid saying anything critical about the agencies. When the Globe first asked for copies of all the pacts worth at least $10,000 statewide, it took a four-year legal fight to obtain the names of workers who received the money. In much of the information provided to the Globe, state officials had even erased references to public court documents, discrimination complaints, and other information, making it difficult to identify the recipients and why they received the payments. The state says it kept the identities of the workers secret to protect them and to comply with state privacy rules. But critics believe the agencies also wanted to bury messy employment disputes, cover up mistakes, or avoid setting a precedent that would allow other workers to demand similar payments. The policy certainly made it harder to track how the government is spending public money and addressing difficult problems. 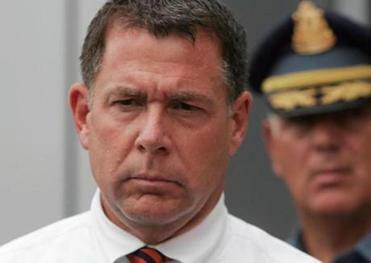 Former Turnpike chief Matthew Amorello got $181,515 after he was pushed out after the 2006 Big Dig collapse. According to the newly released documents, state executive offices and the Massachusetts Port Authority collectively spent more than $5 million on severance and settlement agreements to nearly 100 workers from 2005 to January 2011. Other state agencies, such as the University of Massachusetts system, spent millions more. The Globe has since requested data on more recent payments to state workers. State agencies generally declined to say why they made specific deals, citing privacy rules. But a review of the documents shows that many payments went to senior executives who were given extra severance when they stepped down, including former managers at the Turnpike and Massport, or to workers who alleged that they were victims of sexual harassment, discrimination, or other misdeeds. For instance, a social services worker received $200,000 after complaining that her department did not adjust her duties to accommodate her medical problems. A highway worker got $170,000 after he said he was taunted by co-workers and bosses who thought he was gay. And a former Department of Industrial Accidents official negotiated a $150,000 payment after complaining to her superior that she was being barraged with pornographic e-mail, only to be told she should “enjoy” it. She was later fired. The pacts aren’t unique to Massachusetts, or to government agencies.It’s long been common in both the private and public sectors to use settlement and severance agreements to resolve employment disputes and avoid costly litigation. But state officials here went to unusual lengths to keep the agreements secret. The Patrick administration and some independent state agencies refused to provide the names of the recipients, even after orders from the secretary of state’s Public Records Division in 2010, prompting the Globe to file suit. State officials argued they were legally required to black out the names to protect the workers. “As an employer, we have an obligation to protect the privacy rights of our employees,” said Heather Johnson, a spokeswoman for the governor’s office. But Suffolk Superior Court Judge Thomas A. Connors ordered the state to release the information last year, noting that employee names have long been considered public information and the state produced little evidence that “any affected employee felt actually aggrieved at the prospect of having his or her identity and information” disclosed. In fact, the governor’s offices sent letters to public employees who signed the agreements, advising them of the Globe’s public records request and giving them an opportunity to object. But out of 181 letters, only one worker responded and none decided to testify or formally participate in the case, the judge pointed out. 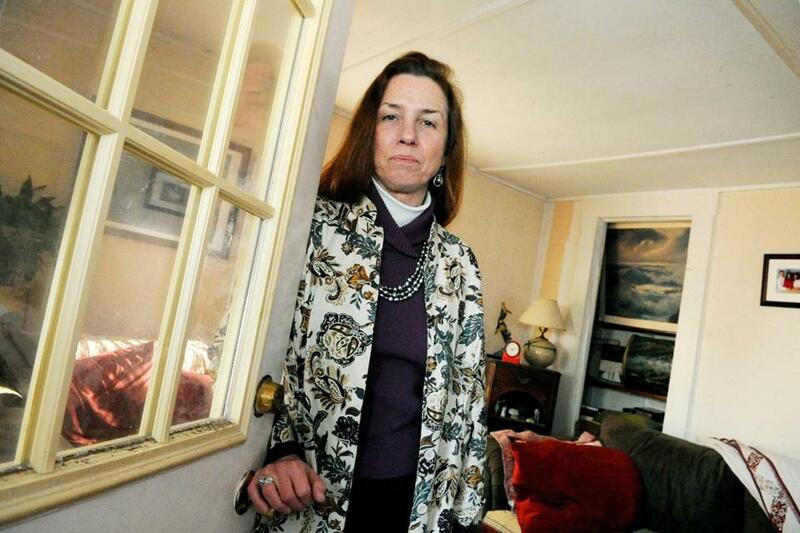 Ann Marie Mires, who received $30,000 after she was fired from the Office of the Chief Medical Examiner five years ago, said she was thrilled that the state settlements are now being made public, hoping it will force agencies to address hidden problems. In more than a dozen of thesettlements, workers had already filed public lawsuits against the agency laying out many details of the dispute. But the state still blacked out names in the settlement documents provided to the Globe, along with references to the court cases, effectively hiding the amount of money the workers received. 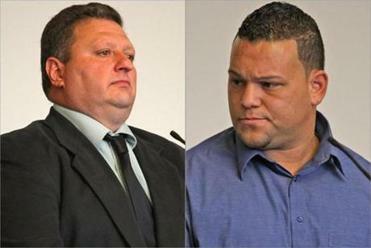 Paul Iacobacci (left) and Tony Pasuy were cleared in a 2008 toll-skimming case but a confidential settlement meant the state never announced that they had gotten their jobs back. For instance, Michael J. Rotondi, a former Department of Environmental Protection worker, negotiated a $266,000 out-of-court settlement after a jury found that a senior environmental manager had defamed him. But the state had long kept the details of that arrangement private. Rotondi’s attorney said he strongly doubts the state withheld his name to protect Rotondi’s reputation, since Rotondi won a large settlement. “Most likely, it was done to protect governmental agencies and senior managers in government from scrutiny and embarrassment,” said Alan D. Rose Jr., a litigator with Rose, Chinitz & Rose in Boston. In a number of cases, workers were also ordered to not tell anyone about the payments. Elizabeth Sinicropi, who managed a state program to help people who had lost their jobs, received a $133,000 settlement in 2007 after she complained that the agency was giving her duties that required her to travel more than she was able to because of a disability. However, Sinicropi said the state insisted on inserting a confidentiality clause in the agreement that forbade her from even mentioning the existence of the deal to almost anyone except her advisers and family. Though some attorneys doubt that confidentiality and nondisparagement clauses are legally enforceable when it comes to government workers, the clauses can effectively discourage people from talking. The governor’s office would not answer questions about why it included confidentiality clauses in some settlements or whether it will use similar language in future deals. The newly released documents also show the state continued to assert the need to keep the deals secret to protect workers’ privacy after at least three of the people died, including one who was frustrated that he had to sign a confidentiality agreement as part of a $100,000 settlement to retire from the Office of the State Comptroller. The documents also show that a number of senior managers received substantial payments when they were forced out. Former Turnpike chairman Matthew Amorello received $181,515 after he was pushed out by then-governor Mitt Romney’s administration following the collapse of a Big Dig tunnel ceiling that killed a car passenger in 2006. Though many details from Amorello’s ouster agreement were released at the time, the Patrick administration still blacked out his name and other details from a stack of settlement documents it gave the Globe, and only provided the final estimate for how much money Amorello received after the Globe won its lawsuit. Neither Amorello nor the state would comment. The agreements also show that other Turnpike officials received tens of thousands of dollars, each under severance or settlement deals, including the former director of development, director of information systems-operations, chief development officer, and several attorneys. Similarly, Massport made significant payments to several executives when they left: Carole Brennan, director of external affairs and a former Boston mayoral spokeswoman, got $74,013; Charles F. Monahan, director of aviation security operations, got $77,022, and Patricia Day, director of labor relations, got $140,280. None of them responded to requests for comment. But Day’s agreement suggests she alleged to have suffered “emotional distress, mental anguish, and injury to her professional reputation” after reports that she and a coworker were pushed out for violations of Massport’s code of conduct. As part of the settlement, Massport agreed to deny that she was terminated for misconduct and instead would say she was fired without cause. Attorney General Martha Coakley’s office, which represented the Patrick administration and Massport in the court battle to keep the settlements private, denied that agencies were trying to hide the deals. Coakley’s office insisted it was simply trying to balance the public records and privacy laws. Some officials were unsure whether the names of people who received severance or separation deals were considered public information — like salary records — or confidential, like medical records. If they guessed wrong and released private information, Coakley’s office argued, it could be sued for violating workers’ privacy. “There was an unresolved conflict between privacy and public records laws that needed a decision from the courts,” Coakley spokesman Brad Puffer said. He noted the judge agreed that some other details of the severance agreements, such as home addresses, could still be redacted. The court ruling has already had a broader impact on other agencies that signed similar deals but weren’t part of the lawsuit. For instance, the University of Massachusetts system, which had long refused to release the names of many workers who received settlement or severance payments, agreed to provide the remaining names this month after the court case was resolved. Among the new names released is UMass Boston associate chancellor Kenneth Lemanski, who said he negotiated a severance payment after he was let go when a new chancellor came in. Lemanski received a year’s salary, or about $125,000, in 2006. UMass also released seven new settlement or severance deals it has made since 2011 that are each worth more than $100,000, including one last month with a UMass Amherst health educator worth $315,000. Boston employment lawyer Inga Bernstein said she was glad the courts ruled that government settlements can no longer be kept secret, because she thought it would expose important problems. “We expect [government employers] to follow the rules,” said Bernstein, a partner at Zalkind Duncan & Bernstein LLP. “And when the rules haven’t been followed they should correct them.